1、Help the entrepreneurs or enterprises who invest in seamless tube industry, to ①establish the new factories, ②install and align the production line, ③provide technical advice and guidance, ④train technical workers, ⑤improve the technical level of the equipment. 2、Provide complete product line for Seam-Free Carbon Steel Tube and installation. world's pipes, for its great advantages during the manufacture processing, such as energy-saving, environmental protection, high efficiency, water conservation, and material saving etc..
Further more, as the replacement of traditional tubes, it has a equal or superior quality, with senior performances in interior chemical composition, metallographic microstructure, mechanical properties, appearance size,etc. 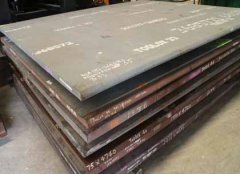 It is not only applied to the manufacture of heat exchangers, low & medium pressure boiler and municipal construction, but also to the transmission casing pipes & oil pipes in chemical industry, power plants, fertilizer, oil & gas fields and other areas. It is widely used as the continuous tube, expandable casing, and oil drill collar, drill pipe, representing the world's newest technology. In recent years, there are 55% oil well pipes of the globle market which are made by this technology. Undoubtedly there will be more, this is showing a huge market! 3、Because of the advanced technology with simple manufacture processing, uniform wall thickness, cut into different length easily, fast investment, less-pollution, low-carbon to the environment, good for environmental protection, energy & material saving, lower cost, etc., this technology had been listed as Chinese National Torch Plan Project to promote, and gained lots of national policy supports. 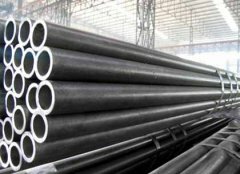 4、Import this Seam-Free Carbon Steel Tube technology,build your solid basis for your business empire and your better life. © Henan Anson Steel Co., Ltd. All Rights Reserved.